← A Waza Is A Sketch! 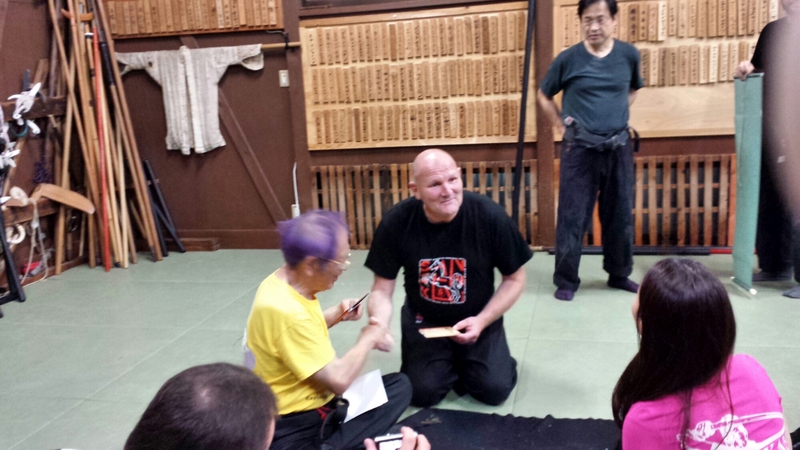 During a recent class, while we were still in seiza after the opening rei, Hatsumi sensei began to speak. He said that: « when you are under the age of thirty it is important to develop your strength and your muscular power. Only when you get older can you train the more subtle movements ». I don’t know what triggered his opening speech, but it is a fact that too many young practitioners lack power in their techniques. The next day, I was in the train to Atago with my friend Marco from the Nederland, and we spoke about what sensei has said the day before. Marco has been training for a long time in jûdô, jûjutsu and the bujinkan. And he is still training jûjutsu. I did jûdô for seventeen years and a lot of other things and I was defeated quite often.